Munchkin Shampoo Rinser Just $4.99! I really wish I had one of these when my kiddos were little. 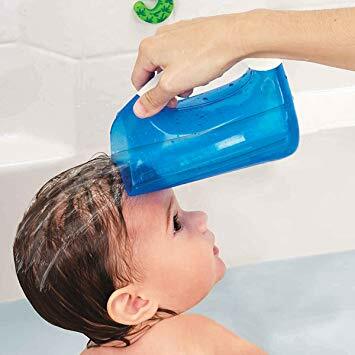 This Munchkin Shampoo Rinser is only $4.99 on Amazon right now! This shampoo rinser features a soft, contoured rim that gently forms to your child’s forehead, ensuring their eyes stay dry, plus an easy-grip handle so you can hold baby upright with your other hand – making sure shampooing is truly a tear-free affair.